5G is coming: what can we expect? This year the telecoms industry will begin the transition to new fifth-generation cellular networks—known as 5G—which is expected to one day help run everything from self-driving cars to robot surgeons. The successor to the current 4G network technology introduced commercially in 2009 promises nearly instantaneous transfers of huge amounts of data that will likely bring major changes to an array of consumer and health products. But it will take time for the network to be extensive enough to respond the high expectations it has raised. The first 5G compatible phones will become available in the middle of this year, but consumers will not initially notice vastly faster speeds because 5G coverage will be limited to certain cities or neighbourhoods at first. Analysts predict it will be at least a couple of years before the network's reach will be extensive enough to let you use your 5G phone without relying on current wireless standards most of the time. The next generation phones will be able to switch seamlessly between 4G and 5G networks for more stable service. The first advantages of 5G will be enjoyed by telecoms operators, who will be able to offer fixed high-speed internet in countries or regions where deploying fibre is expensive. At a later stage, 5G will be able to underpin services such as augmented reality, which would allow people for example to point a smartphone camera at a football game and see superimposed player statistics. While previous cellular networks focused on mobile phones, 5G promotors say its greater transmission speed and total bandwidth will allow a ballooning number of objects such as traffic lights, crop equipment, refrigerators and other household appliances to send and receive data. One of the biggest innovations that 5G is expected to enable are self-driving cars, because it can virtually eliminate latency—the time it takes to get a response to information sent over the network. But self-driving cars will need 5G networks to cover large areas and mobile communications industry body GSMA, which represents 800 operators worldwide, estimates 5G will account for just 15 percent of total global mobile connections in 2025. Lower latency could also help revolutionise multiplayer mobile gaming, factory robots, telemedicine and other tasks demanding a quick response—all areas where today's 4G networks struggle or fail. Industry in particular is looking forward to 5G to reinvent manufacturing and allow it to monitor all sorts of processes. While augmented reality and robotics are already becoming a part of everyday life in many industries, 5G has the potential to enable newer, faster production methods. For example by using wearable technology such as augmented reality glasses in the assembly line, workers will have more information at their fingertips, potentially resulting in higher productivity. Specialists talk of "Industry X.0", an ongoing industrial revolution as businesses embrace and profit from constant technological change. 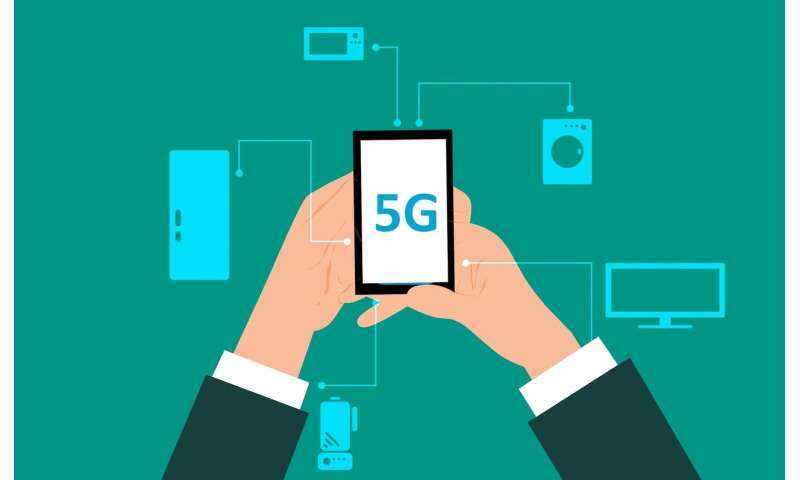 But governments will first need to harmonise standards for the award of so-called 5G millimetre-wave spectrum, which will carry the vast data flows needed to power connected robots and other industrial uses for the technology. Expect hype, and 4G pretending to be 5G. Expect lots of cashing in and bandwagon jumping. Don't expect significant improved results on any version 1 kit, except prototypes in highly rigged demos. After a suitable time when the bugs have been ironed out a version 2 will be devised with a new abbreviation we haven't heard of yet: That will be worth buying your new tablet, laptop or phone with. (Remember 'HD TV' and 'FULL HD TV' every time you are tempted to buy into '5G READY' for an extra £500 on any new kit.